The tenth action-packed thriller in the Dirk Pitt series, where the adventurer must foil the deadly conspiracy of a group of Japanese nationalist fanatics. A NUCLEAR PEARL HARBOUR Buried in the depths of the Pacific Ocean lies one of the greatest secrets of World War Two - a crashed B-29 Bomber that was carrying a third atomic bomb to Japan in 1945. 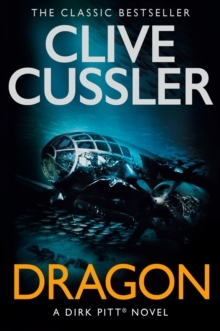 Its deadly cargo, lost in the sea for nearly fifty years, could be Dirk Pitt's only hope of stopping the conspiracy of a group of Japanese nationalist fanatics.